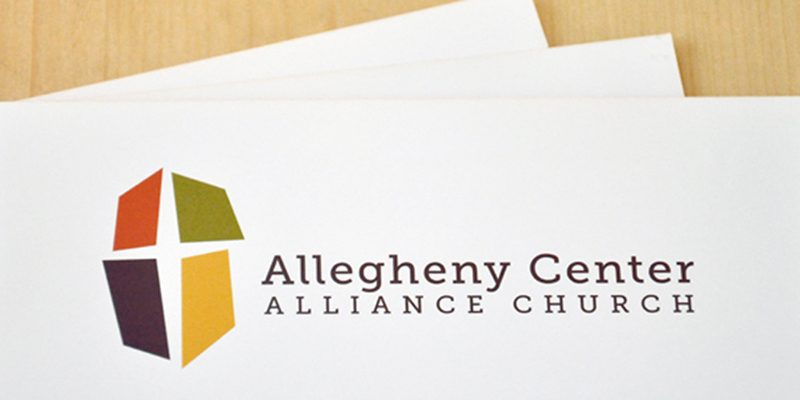 Allegheny Center Alliance Church is a vibrant, diverse church on Pittsburgh’s North Side. 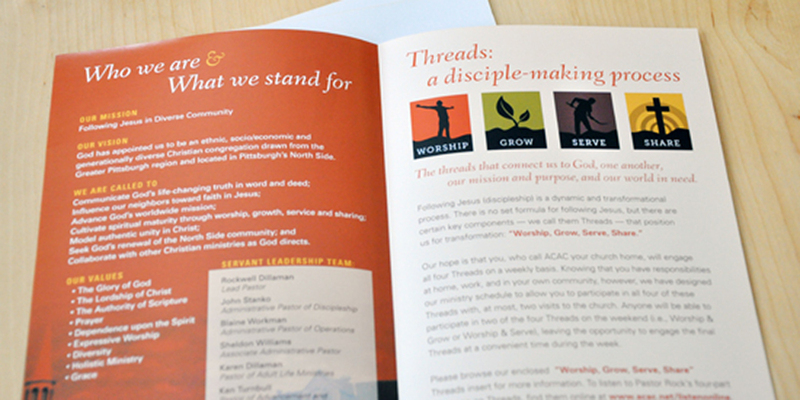 It has been a growing part of the community for many years, and it models it’s activities around it’s mission and vision of “Celebrating Jesus in Diverse Community”. 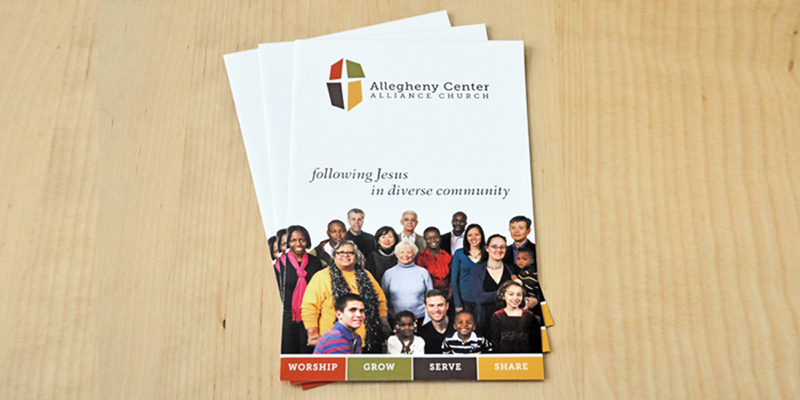 The redesigned logo creates a cross in the white space formed by four colored shapes, signifying that it’s diverse people ARE the church, together following Christ. 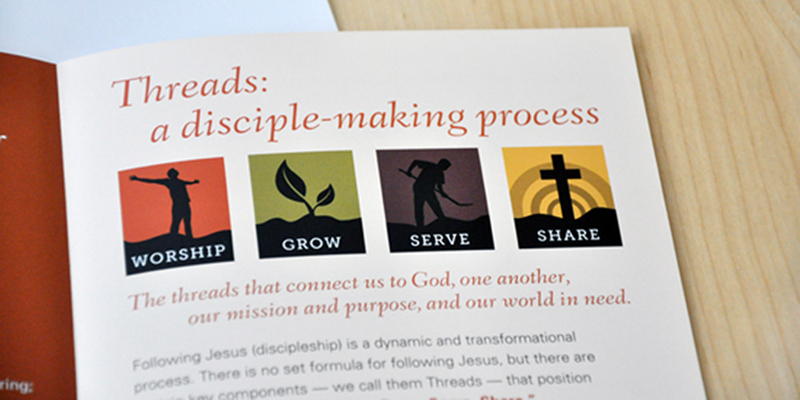 The four colored shapes of the logo have additional meaning in that each color represents one of the ways that the church helps it’s congregants to grow — in worship, grow, serve, and share. 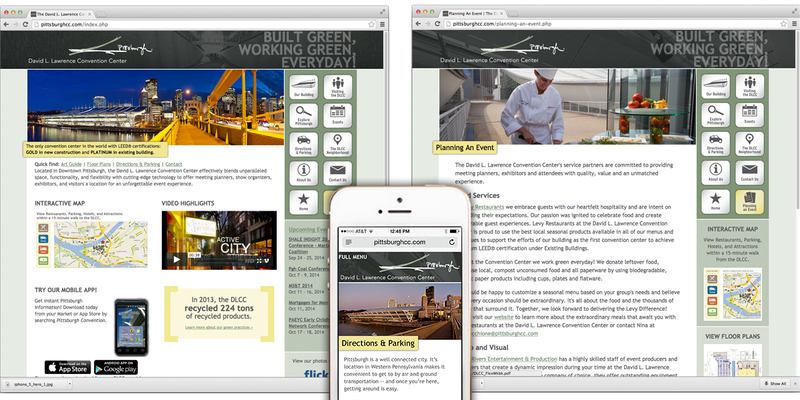 Four icons were developed to illustrate those methods. 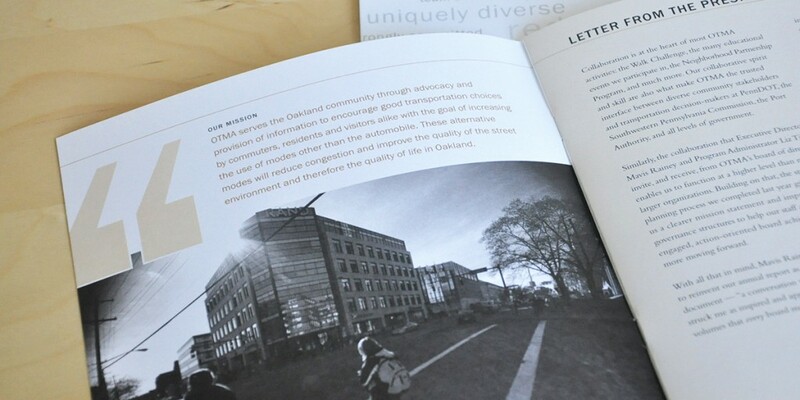 Oakland Transportation Management Association serves the Oakland community through advocacy and provision of information to encourage good transportation choices by commuters, residents and visitors alike with the goal of increasing the use of modes other than the automobile, reducing congestion and improving the quality of the street environment life in Oakland. 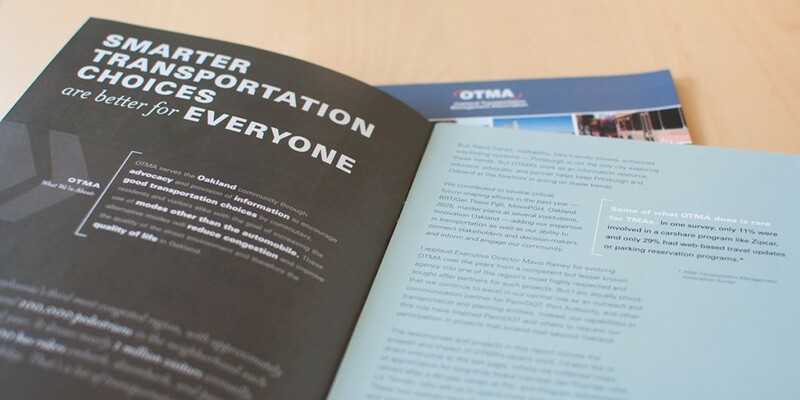 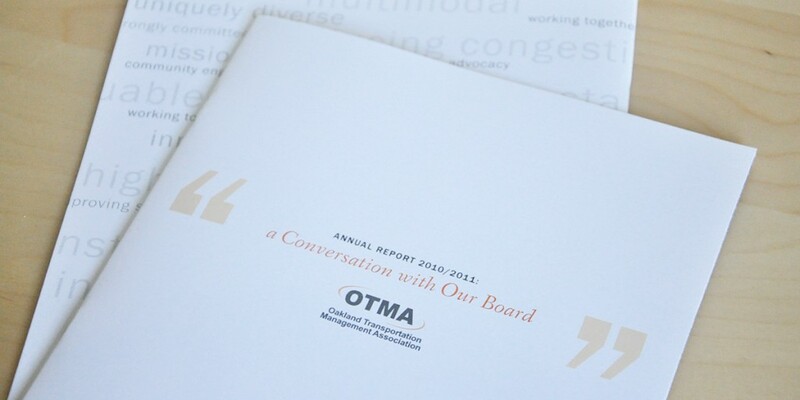 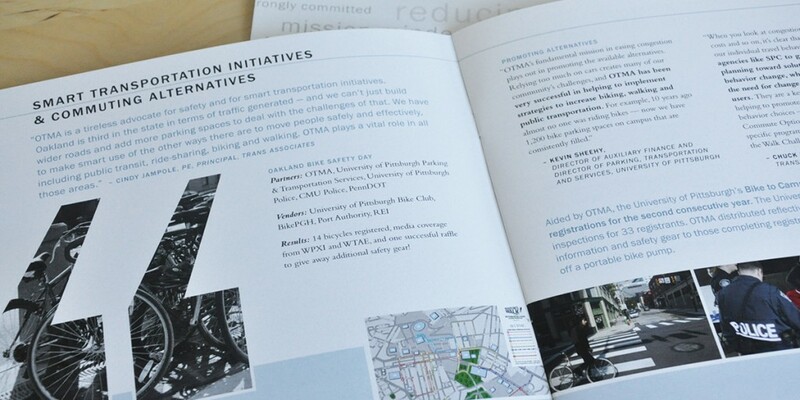 Through interviews with four community partners, the 2011/2012 Annual Report highlights OTMA’s work in various focus areas. 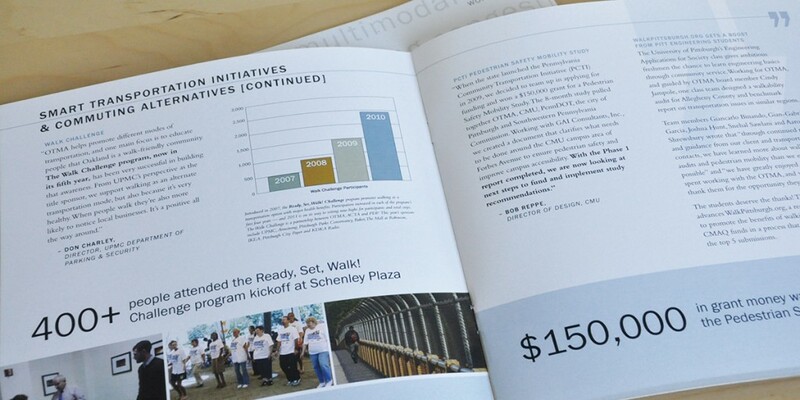 Produced in collaboration with writer Don Bertschman. 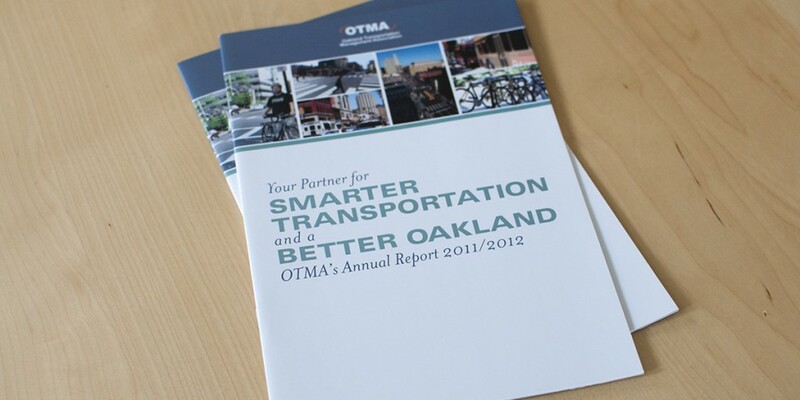 OTMA serves the Oakland community through advocacy and provision of information to encourage good transportation choices by commuters, residents and visitors alike with the goal of increasing the use of modes other than the automobile, reducing congestion and improving the quality of the street environment life in Oakland. 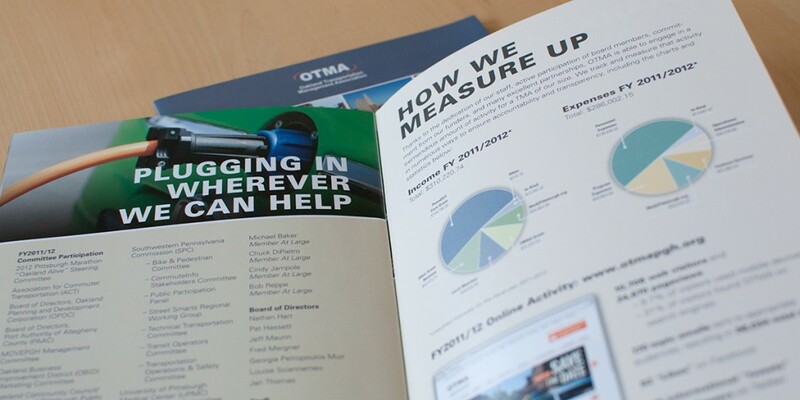 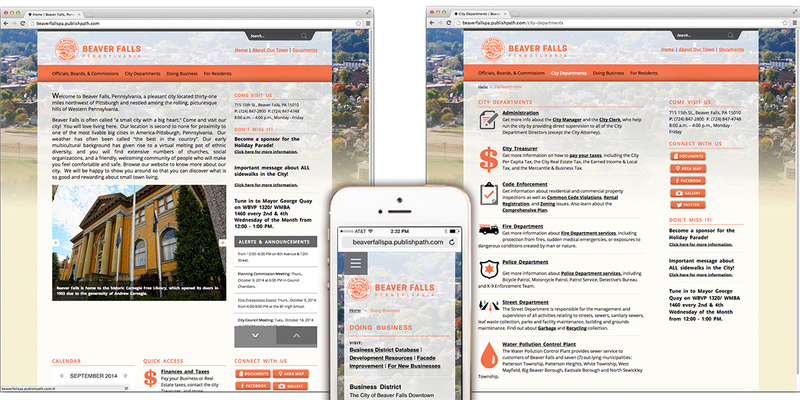 The 2010/2011 Annual Report is a series of conversations with their 14-person board, highlighting important projects and accomplishments over the past year. 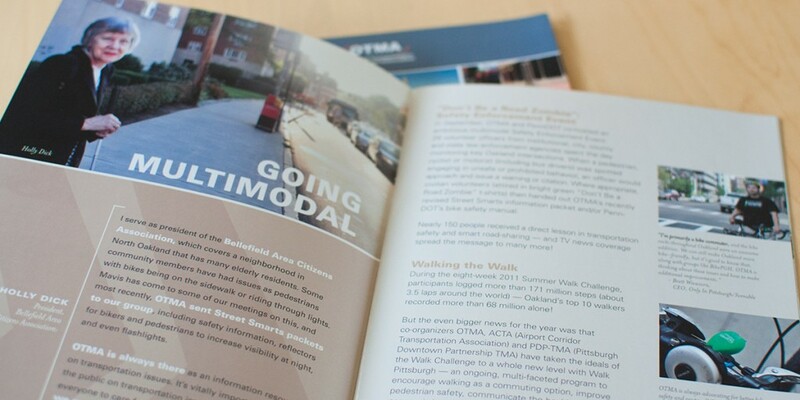 Produced in collaboration with writer Don Bertschman.